These are pretty popular with our customers in Japan/Okinawa. 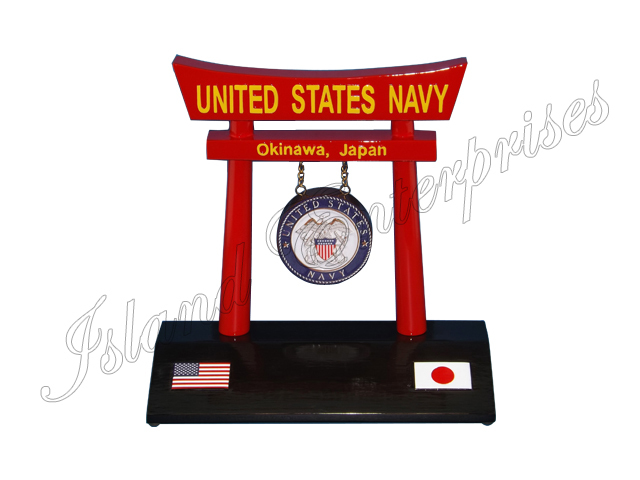 The Torii Gate is 10" tall, with a 3.5" suspended wooden shield, on an all wood base. Customize the torii gate cross bars, suspended shield, and base. Contact us at: Sales@islandenterprises.net if you have any questions. Discounts offered for multilple orders. And remember we offer a 100% money back guarantee if you are not totally convinced that you have bought the best product available on the market!! !